The Cambrian Explosion presents a serious headache for evolutionists. After all, the fossils found in Cambrian rock are supposed to be about 540 to 485 million years old. However, when you look at the complex animals preserved in such rock, you find every major body plan that exists in today’s animals. Worse yet, when you look in layers that are supposed to be older than Cambrian rock, you don’t find the supposed ancestors of these complex animals. Evolutionists have desperately tried to explain around the problem, but so far none of their explanations work. The morphology of Vernanimalcula demonstrates that the evolutionary appearance of developmental programs required to generate a multilayered bilaterian body plan preceded the entrainment of the growth programs required for macroscopic body size. Furthermore, the organization of these fossils, taken together with their provenance, indicates that the genetic tool kit and patter formation mechanisms required for bilaterian development had already evolved by Doushantuo times, long before the Cambrian. Therefore, the diversification of body plans in the Early Cambrian followed from the varied deployment of these mechanisms once conditions permitted, not from their sudden appearance at or just before the Cambrian boundary. So these fossils showed that the Cambrian Explosion wasn’t an explosion at all. Instead, simpler versions of the complex animals that appear in Cambrian rock existed previously, and the Cambrian era simply represented a rapid diversification of a basic body plan that had already existed in a simpler form. Of course, like many evolutionary propositions, once this claim was thoroughly analyzed, it was shown to be utterly false. There is no evidential basis for interpreting Vernanimalcula as an animal, let alone a bilaterian. The conclusions of evolutionary studies that have relied upon the bilaterian interpretation of Vernanimalcula must be called into question. 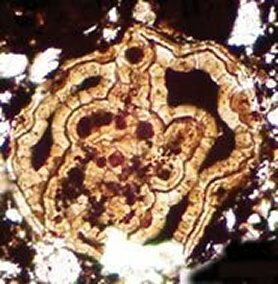 We had come to Guizhou in 2002 to hunt for microscopic fossils of some of the earliest animals on earth. Specifically, we were hoping to find a bilaterian. … it is curious that in a century-old race for superlative hominid fossils on a continent currently populated with African apes, we consistently unearth nearly complete hominid ancestors and have yet to recognize even a small fragment of a bona fide chimpanzee or gorilla ancestor. I wholeheartedly agree. Like Vernanimalcula, the interpretation of many African fossils as members of the supposed human evolutionary line is heavily influenced by paleontologists’ desire to find a human ancestor. In order to do good science, however, we must fight the desire to force the data to conform to our preconceived notions. Now please understand that this is a problem for all scientists, not just evolutionists. When we go looking for evidence to confirm our views, we tend to find such evidence. If we are to be good scientists, we should avoid that situation. Instead, we should put the evidence first and follow it wherever it leads. When do you think the Cambrian Explosion occurred and what was its likely cause? Mia, I don’t the the Cambrian Explosion was a real event. It is a misinterpretation of the fossil record. The assemblage of fossils in Cambrian rock represents the creatures that were fossilized in the early stages of the worldwide flood. I find it somewhat disappointing to read this and not find a single mention of the rich Ediacaran fauna that predates the Cambrian and shows soft-bodied creatures with body plans that suggest relation to the Cambrian fauna and that – in their timing of appearance – match molecular clock models of genetic ancestry. The Ediacaran fauna was discovered several decades ago, so it’s just the more puzzling why you would omit it from this post. It is rather ironic that you admonish people to follow wherever the evidence leads (something I wholeheartedly agree with), but then neglect in giving them some of the most important evidence that directly relates to the topic at of your post. Finally, I was looking forward to reading a nice, peer-reviewed paper supporting your claim that ‘none of the explanations work’, only to find myself directed to a blog post at the Discovery Institute. Rather disappionting when compared to the numerous research articles and entire books that lay out extensive models and explanations for Precambrian life. I suggest your readers broaden their horizons somewhat and look at the actual, peer-reviewed literature, rather than rely on blog posts on political websites. Isn’t that what a good scientist should do? Chris, I think you need to actually read the article at ENV. It contains no political content, but the very first response discusses the Ediacaran fauna and how they do not help explain the Cambrian explosion in any way. Thus, I did not “neglect” to give the reader the evidence associated with the Ediacaran fauna. I simply assumed my readers would be responsible enough to examine the links that I gave them. Most of them are. I strongly agree with you that my readers should investigate the peer-reviewed literature. This is why I give detailed references to all of the articles that I discuss. However, I also encourage them to read blog posts, since this allows them to get multiple views on any given scientific investigation. After all, the competition that exists among different views of the data is what drives scientific progress. If there is sound scientific evidence that ‘the explanation don’t work’, why would you link to a political think tank website rather than the primary scientific literature? I doubt you would find it very helpful if I linked to the NCSE website to support scientific claims about evolution – so why not give your readers access to the peer-reviewed science that supports your claim that ‘the explanations don’t work’. So it appears that Sharma is fully in support of the view that some Edicaran fossils represent ancestral or closely related organisms to the Cambrian phyla. Again, I would suggest it is a matter of scientific honesty to include these statements when you are quoting a work, instead of cherry-picking a sentence or paragraph that purports to support your argument. ‘Although most Ediacaran fossils leave no Post-Proterozoic record, they were not immediately succeeded in the lowermost Cambrian rocks by diverse crown group bilaterians. Earliest Cambrian assemblages contain few taxa, and the diversity of trace and body fossils grew only over a protracted interval. In other words: the Canbrian ‘explosion’ was not so explosive after all and there is plenty of time to see how Edicaran organisms might have given rise to the Cambrian fauna. Thsi makes it quite clear that Sharma fundamentally disagrees with your views on the Cambrian ‘explosion’ and whether evolutionary theory can provide good explanations for it. I hope that next time you decide to quote a scientist, you give your readers the benefit of fully and accurately representing what these scientists hold. Chris, as your quote from the Discovery Institute says, it is not just a political website. It conducts research on, “technology, science and culture, economics and foreign affairs.” Obviously, the article I linked to has nothing to do with politics. It discusses only science, so it is a perfect place to point people to so that they can learn about scientific evidence. Indeed, the article discusses a lot of scientific evidence which you seem to be studiously avoiding! You say that I would not find it helpful if you linked to an NCSE website to support scientific claims about evolution, but that’s just not true. I am a big fan of reading multiple viewpoints, as you can see from the links that I give on the right-hand side of the page. I tend to look at the evidence that is presented and evaluate claims that way. I don’t ignore the writings of those with whom I disagree; I evaluate them. Obviously, I was not quote-mining Sharma’s book. I gave a long quote that shows precisely what he thinks about the Ediacaran fossils: their interpretation is difficult, and it is genuinely hard to see how they map to the invertebrates we see today. However, you are definitely quote-mining to try to make it look like he is saying something he is not saying. Let’s continue the tiny snippet you gave, shall we? So yes, Sharma does recognize that the Cambrian Explosion is, indeed, a problem. The are almost no ancestors, and most of the Edicaran fossils cannot be linked to the fossils that make up the Cambrian explosion. The fossils in the Cambrian are simply too different. So Sharma is simply saying there might be enough time to produce the explosion of diversity found in the Cambrian. He is saying nothing about whether or not the Edicarans can be the evolutionary ancestors of the Cambrian organisms. In fact, the previous quote I gave clearly shows that he doesn’t think that. I find it rather ironic that you are using mined quotes to claim that I am quote-mining! For an institution that has at least a million dollars of funding available each year, it doesn’t really do a lot of that. The flagship journal ‘Biocomplexity’ can’t even scrape together three research articles for its most recent issue. Of course their intepretation is difficult, as most biologists would agree is the case for all fossils. Its a truism. However, the complete quote taken in context illustrates there appear to be precursors to Cambrian clades in the Ediacaran (Sharma specifically mentions the molluscs, for example) – the fossils he says are equivocal are those relating to other Protostomes and Deuterostomes. Large clades, no question at all, but all Sharma has to say about this is that the evidence is currently hotly debated. A far cry from saying that the Ediacaran has no relevance to the Cambrian, which you pretended was the content of Sharma’s statements. There was plenty of time (as he says) AND the fossil evidence shows a gradual increase in the diversity of body plans. Observations perfectly congruent with an evolutionary model. Ultimately, I am happy to leave it up to your esteemed readers to figure out who was quote mining and whether quoting a scientist as saying that fossil evidence remains ‘equivocal’, but that there was gradual diversification as is supported by the fossil evidence means – as you claim – that ‘none of the explanations work’. Chris, thank you for finally admitting that the Discovery Institute does, indeed, do scientific research. You might be disappointed about the amount of science they do, but by your own admission, they most certainly do scientific research. Thus, its articles are a good place to send people who want to investigate the scientific evidence. Yes, indeed, fossil interpretation is difficult, but as my full quote (which is not in any way out of context) clearly shows, it is particularly difficult for the Edicaran fossils, as they are genuinely difficult to map to current invertebrates. Thus, they are not good candidates for the ancestors of the Cambrian fossils. Yes, there is perhaps a stem group for the molluscs there, but that’s really about it. The vast majority of body plans appear abruptly in the Cambrian, with no apparent ancestors. This is precisely what Sharma is saying in the full quotes I provided. With the loss of Vernanimalcula, the problem is now even more severe! I find it amazing that you are still trying to justify your quote-mining by just repeating a previously-mined quote, which is ripped completely out of context. Of course Sharma is talking only about time when he is discussing the diversity in the Cambrian. Once again, rather than looking at your mined quote, look at the entire quote. He is discussing the new radiometric dates for Cambrian evolution. He is not talking about fossils showing any gradual increase in diversity. He is saying that the earliest Cambrian fossils contain very few body plans, and then later on, a whole lot of them appear. In his mind, the difference in time between the few body plans and the many body plans is sufficient to allow for such diversification. However, nowhere does he even imply that there is fossil evidence for how that divergence took place. Indeed, no such fossil evidence exists. As anyone who understands the fossil evidence knows, then, none of the proposed explanations for the Cambrian Explosion work. Of course, you would have learned this had you read the originally-linked article. Okay, when was the worldwide flood? Mia, I think you need to read the articles on this blog a bit more carefully. You claim to have read my post on dendrochronology and even quote a bit of it. Please read your comment again, as the answer is right there in what you quoted. Mia, I find it interesting that the professor’s article used flood legends as evidence against the reality of the Flood. This professor finds those legends to be evidence for the reality of the Flood. He also demonstrates how the professor’s idea that the Flood account in Genesis is made up of two separate accounts does not fit the evidence that we have. Indeed, he says that the professor’s ideas have, “increasingly fallen out of favor even among critical scholars.” I leave it to the reader to see who has the best arguments on that issue. Also, the professor you linked obviously knows little about the Genesis Flood account, as he is rather confused about the details. There is no contradiction regarding the number of different types of animals on the ark, and there is no contradiction regarding the duration of the Flood. Also, the professor seems to think that all the water for the Flood came from the atmosphere, but even a cursory reading of the account tells you that there are two sources for the water: the fountains of the deep and the windows of heaven. The professor you linked considers only one source, which is why he is so confused on the issue. Since I have answered many of your questions, I kindly ask that you answer a question for me. In a previous comment, you asked me when I would admit to my errors. I patiently explained to you that I do admit to my errors when the evidence demonstrates they are errors, and I even gave you examples of when I did so. However, I have noticed that you never admit to your errors. When I (or your own sources) demonstrate that you are wrong, you just stop commenting on the thread. Could you please explain to me why it is important that I admit when I am wrong, but it is not important for you to admit when you are wrong? Yes, let’s leave to readers, the arguments favor Cargill in my opinion. FYI, your professor teaches at a seminary and it doesn’t say where this paper was published, whil Cargill teaches at U of Iowa and publishes in academic journals. I just admitted I forgot about your flood dating from trees. Well, the earth isn’t about 10,000 years old, so I don’t suppose I’ll admit you are right on that. And you just claim “data” says what you want it to say, so I can’t agree to that either. But I’m willing to admit error. Kindly consider that I was wrong in every thread I have commented on. My apologies. On the flood, if it happened around 3000 BC, why didn’t the Egyptian and Babylonian cultures record it? The Hebrew Bible was written down in the mid first millennium BC, so that really isn’t a very good source for something that happened 2,500 years earlier. Mia, the arguments are definitely not in favor of Cargill. Can you point out any mistakes in the article I linked? I have pointed out three in Cargill’s article. One of them indicates he hasn’t even read the Flood account in any detail. Yes, the professor who wrote the informed article about the Flood account, Dr. Mark F. Rooker, does teach at a seminary, which explains why he has actually read the Genesis account, unlike Cargill. The article by Rooker was published in the Journal of Theology, while the article you linked was just published on Cargill’s website. This probably explains the mistakes Cargill made. I wouldn’t think a serious academic journal would allow such obvious mistakes. Also, Dr. Rooker does publish in academic journals, just as Cargill does. You can see that from the CV linked above. Yes, I didn’t read your article. I admit it. I’ll try to do it soon. Cargill’s essay was published on the online journal Bible and Interpretation, although Cargill’s blog is quite good as well. From Rooker’s CV, it appears the paper you linked to was “The Flood.” Southern Baptist Journal of Theology. 5,3 (2001) 58-74. (Why wouldn’t the journal have its name on at least every other page like normal journals? And why just use 2/3 of every page, ads?) Since Southern Baptists dogma requires believing in the literal truth of all the Hebrew Bible, that isn’t the most credible of publications on the historicity of the Flood. Here is a case where I’m sure the article was peer reviewed, but if all reviewers think the Flood occurred, the peer review can’t be said to weed out non-historical stories. So Gilgamesh’s Flood is the same worldwide flood story as Noah, you say. If that’s the case, then some descendant of Noah wrote it. Are you then saying that some descendant of Noah forgot everything but the fact of a flood and then wrote a guy named Gilgamesh into it with completely different details? It must have been after Babel, because it wasn’t in Hebrew, but if none of the specifics about Gilgamesh and his flood match the Noah version, then you really can’t say it is a memory of a historical event, can you? I am not surprised that you didn’t read the article, Mia. In addition, I find it very telling that without reading the article, you claimed that “the arguments favor Cargill.” That is a very adequate demonstration of how little the evidence means to you. I actually read both articles, which is why I understand that the arguments do not favor Cargill. I also find it telling that you are worried about the format of a journal article rather than its contents. And speaking of ads, there are a fair number of them at Bible and Interpretation. Indeed, there are ads for ads there! (“Advertise YOUR BOOK here! Reach thousands of readers each day) Whatever you think of the peer-review process at the Journal of Theology, it is clearly better than what happened with Cargill’s article, since there are three glaring errors in Cargill’s article. I see none in Rooker’s. Yes, Gilgamesh’s Flood is the same worldwide Flood as in the account given by Noah. And yes, a descendent of Noah wrote it. No, I am not saying “that some descendant of Noah forgot everything but the fact of a flood and then wrote a guy named Gilgamesh into it with completely different details.” I am saying that the Egyptians and Babylonians, and a wealth of other cultures, all have worldwide Flood stories because they all refer to a real event – the worldwide Flood as given in the Biblical account. And yes, I most certainly can say it is a memory of a historical event. That is the most reasonable conclusion, given the fact that many of these cultures had no contact until well after the accounts were written. The fact is that historical events get “garbled” over time. It is not surprising, therefore, that certain details are different in the many Flood legends. However, the very fact that there are so many Flood legends from so many diverse cultures that had no contact with each other speaks strongly that it is a real event. Isn’t it more likely that several local floods happened than one worldwide flood? Then the differences would be explained by the time and local culture. It explains the evidence better and also has less needed assumptions, i.e. Yahweh exists and drowned everything in the world except the ark, Noah’s family and the ark’s animals populated the whole world and mutated into all current species in a couple thousand years, all those animals fit into the ark with enough food and didn’t eat each other or die (here’s a great video on that point as well as many Bible contradictions http://freethoughtblogs.com/nonstampcollector/2012/10/25/who-am-i/). Isn’t that the better argument than that a real story of Noah’s flood was transmitted orally over thousands of years into completely different cultures? No, Mia, it’s not the better argument. All the flood legends agree that it was worldwide. Also, there is an enormous amount of evidence for a worldwide Flood. The most reasonable conclusion is that a worldwide Flood happened. It may not be something you want to believe. However, the evidence strongly supports it. There isn’t any problem with the animals fitting in the ark. The video you linked makes the common mistake of misunderstanding what went on the ark. It wasn’t two of each SPECIES or seven pairs of each clean SPECIES. It was two of each KIND and seven pairs of each clean KIND. There also wouldn’t have been a problem with animals eating one another. We have lots of carnivores and their prey living together peacefully today – in zoos. The ark would have been much like a floating zoo. We also understand how they could be cared for during the Flood. And no, those are not Bible contradictions. Anyone who has done even a small amount of investigation on those issues understands that. All yeti/bigfoot stories agree that the creature is over 6 foot tall and very hairy. So you agree with this too? Ah, baraminology, that most advanced of creation science! It’s been around since 1941. How is its research program coming? Is it winning support from biologists? So the animals were in cages, okay. Must have been made of metal, right? Why hasn’t any trace of the metal from the ark ever been found? Are there any creation scientists sweeping Middle East mountains with metal detectors? As for John Morris’ only Biblically-sourced short essay, here are some quotes: “Some carnivores even choose a vegetarian lifestyle.” Um, I do not think “carnivore” means what he thinks it means. “Might we not suppose that the loving Creator endowed animals onboard the Ark with this survival mechanism [hibernation)?” We might. But that’s not evidence (or even “data”). “The origin of this mysterious hibernation ability has no ready explanation in science.” Do you agree? No, Mia, I do not agree with the consensus of bigfoot stories. There is no evidential support for the bigfoot sightings. As I showed in you my previous reply, there is a lot of evidence for the global Flood. Yes, baraminology is very advanced and is coming along quite nicely. It has garnered quite a bit of support amongst biologists who are willing to follow the evidence. There have been quite a few research papers published on that subject in the past few years (see here, here, here, and here for examples). I am not sure why you think the animals in the ark had to be in metal cages. Have you never seen wooden cages? There are people looking for the remains of the ark. That’s what scientists do; they look for evidence. That’s why there are creation scientists looking for remains of the ark. There are problems associated with that endeavor, however. You really need to look into biology a bit more, as your information is seriously inaccurate. Yes, carnivores can choose a vegetarian diet. I agree that there is no evidence to suggest that hibernation is a behavior that was given to animals on the ark. However, there is also no evidence against such an idea. Thus, it remains a possibility. That’s Dr. Morris’s point. I also agree that there is no good evolutionary explanation for hibernation. We know why it can produce a survival advantage, but that doesn’t tell us anything about how it evolved, or IF it evolved. I’m pretty sure any animal shoved into a cage and not let out for a year would want to get out pretty badly. Thus the need for metal. Sure, you could do it with wood, but that would have to be very solid construction. So solid that it seems unlikely wood could do the job. What was the biggest/strongest animal on the ark? Mia, you seem to be forgetting that the ark itself was incredibly solidly constructed. It would have been no problem to construct sturdy wooden cages to hold the animals that needed cages. It’s hard to say what the biggest/strongest animal on the ark would have been. Most likely, many of the animals were juveniles, so that would depend on developmental details. Also, the animals we see now have adapted for thousands of years since the Flood was over. Thus, the representative kinds on the ark were probably a bit different from their progeny that we see today. “In all there are sixty-eight different legends of a massive flood. 1 No other event in biblical history has as much extra-biblical attestation.” Endnote 1 refers to the entry for “Flood” in the Anchor Bible Dictionary. No support for the statement that all 68 different legends refer to the same universal flood is provided. “It is quite possible that some of the memories of Noah’s flood were carried to different cultures such as Mesopotamia where they were corrupted from the true and inspired description now faithfully recorded in the Genesis narrative.” No evidence of the dating of the manuscripts is provided, because the evidence favors the Epic of Gilgamesh to be the older account. The Gilgamesh flood is dated to at the latest the 7th century BC from a preserved clay tablet in the British Museum. There is no extant physical evidence for the Torah until the 2nd century BC. The majority opinion is the Torah was put in the version we have now in the range of from the 7th to the 5th centuries BC, but any opinion on the dating of the writing of the Torah is conjectural. Readers should know that the only external evidence Rooker offers is in the paragraph starting, “Interest in the Flood and Noah’s ark…” on page 59. That’s it. I rest my case. The vast majority of the article is exegesis, which should be expected for a theological journal article. But it is not historical evidence. If that is the link you picked to support your case, you are up the flood without an ark. Mia, I first note that you couldn’t find any errors in Rooker’s article. Remember, I found three glaring errors in Cargill’s article. Thus, it is clear which article is better – the one with no errors. Second, you claim that the article is “mainly based on the theological assumption that the Hebrew Bible is the truthful and literal Word of God.” Can you specifically quote where that assumption is given? I can’t seem to find it in Rooker’s article. 1 J. Lewis, “Flood,” Anchor Bible Dictionary, 2:798. For a helpful geographical layout of the various traditions, see J. Boice, Genesis: An Expositional Commentary Volume 1, Genesis 1:1-11:32 (Grand Rapids:Zondervan, 1982) 285-287. Thus, there are two references that back up his statement about the 68 Flood legends, not just the one you mentioned. Have you looked at either of those references? How do you know that they don’t provide supporting evidence that all the legends refer to the same Flood? You are quite correct that The Epic of Gilgamesh has older physical evidence than the Old Testament manuscripts themselves, but that is also not surprising. As you point out, the Epic of Gilgamesh was written on a clay tablet. Clay outlasts papyrus. Thus, when you date the writings of ancient manuscripts, you need to look at the content itself and see if there is evidence that tells you when it was written. You also need to look at external sources that reference the text you are trying to date. That evidence clearly indicates the book of Genesis to have been written in the second millenium BC. Note that the silver plaques mentioned in the link are dated at roughly the same time as the clay tablet that contains the Epic of Gilgamesh. In addition, as the link points out, this indicates the text existed long before that time period. Readers should note that Mia is also not telling the truth about the external evidence in Rooker’s article. He presents the external evidence of Flood legends in the introduction of his article, long before the paragraph that begins “Interest in the Flood and Noah’s ark…” Indeed, Mia quotes from that very section. In addition, in the section entitled, “The Sons of God Marry the Daughters of Men,” he refers to external evidence from early church fathers as well as Philo and Josephus. Mia, You complain that the vast majority of Rooker’s article is exegesis, but that can be said of the article by Cargill that you presented to support your case. Indeed, look at the name of the site that contains the article: The Bible and Interpretation. Cargill spends most of his time in exegesis, trying to convince the reader that the Flood account in Genesis is actually two accounts that have been merged into one. Of course, as Rooker points out, that interpretation simply doesn’t fit the textual evidence that we have, and the idea has “increasingly fallen out of favor even among critical scholars.” The only time Cargill tries to offer a non-exegetical defense of his position, he makes a huge mistake because he hasn’t read the Flood account well enough to understand that there are two sources for the Floodwaters, as I mentioned previously. So…we have two articles, both of which are mostly exegesis. In the article you presented, I have demonstrated three critical errors. In the article I presented, you could find none. In fact, you had to state at least two falsehoods about the article in order to try to make it look bad. I think it should be very clear to the reader which article has the better arguments. Please also note that Rooker’s article is not the link I “picked to support” my case. It was the link I picked to demonstrate that the link you picked has no serious scholarly support. It does that quite well, demonstrating that Cargill’s exegesis is wrong. As far as your second link, it has even worse scholarship than the Cargill article. For example, he claims, “As for the terminus ad quem, the first evidence of the existence of the Pentateuch has long been said to be found in first century BCE passage by Diodorus Siculus.” That is simply false. The earliest references to the Pentateuch are the 7th century BC silver plaques discussed in the link above. You can learn more about them here. In addition, here is an article about the book upon which your new link is based. As you can see, it shows that one of its main arguments is not very compelling. Mia, I understand why you want to believe the Old Testament was not written when it was written. However, the evidence is clearly against your view. You have the right to believe against the evidence. However, I choose to follow the evidence where it leads. You must have missed this “… from the true and inspired description now faithfully recorded in the Genesis narrative.” That is assuming the literal truth of the Torah. Dictionaries and maps, even evangelical ones, do not contain support for wild theories such as all 68 flood stories refer to the same worldwide flood. Local floods far better explain the phenomenon, as I earlier stated. The Torah was not written before 1000 BC. You can’t provide one secular source for this claim because there are none. Do you believe Moses was the author of the Torah? Try reading The Bible Unearthed. Or watch the accompanying video clips, here is part one. The Ketef Hinnom amulets are a short benediction. There is no reason to believe that the entire Torah was already written down and then the amulets took one small benediction and copied it. The far more likely scenario is that the benediction existed long before any part of the Torah was written down. I know why you have to believe in YEC. It’s your livelihood. But I can follow the evidence to where it leads, in this case, to the promised land. Mia, thanks for pointing that out. I did miss it. I still note that you haven’t found a single error in the article, while the Cargill article you posted has three glaring errors in it. You claim that, “Dictionaries and maps, even evangelical ones, do not contain support for wild theories such as all 68 flood stories refer to the same worldwide flood.” However, you haven’t even bothered to check the references given in Rooker’s article. In addition, I have already given you a link that gives evidence that all the Flood stories refer to the same worldwide Flood. Here is another and another. As I clearly explained before, local floods are not a better explanation. Given that all the legends say the Flood was worldwide, and given the enormous amount of other evidence for a worldwide Flood, the best explanation was the the Flood was worldwide. Yes, the Torah clearly was written before 1000 BC. As the link I gave you before shows, there is an enormous amount of evidence supporting the ancient date. I note that you didn’t try to refute a single piece of the evidence given in that link. Instead, you simply made an evidence-free statement that the silver plaques which quote the Torah give no reason to believe that the entire Torah was already written down. In fact, they give a lot of evidence that the entire Torah was already written down long before then. As the link states, “This would have required the text to have been codified and accepted as ‘authority’ long before the Exile.” In the other link I gave you that describes the plaques, we read, “Time magazine, reporting on the find, stated that this discovery suggests that at least part of the Old Testament was written soon after some of the events it describes (Lemonick 1995: 65).” Sorry, you can’t wave away this evidence just because you don’t like it! This book must be used with caution because it pretends to describe what we now really know about archaeology and how it contradicts various biblical claims; however, it does so in a biased and non-objective manner. Contrary opinions in interpreting the new evidence are not discussed, much less given a fair hearing. The book is ideologically driven and should be treated that way by any one who reads it. I guess it’s okay to use biased sources when the bias is supportive of your views. Is that the idea? Actually, I have watched the documentary upon which the book was based, because I investigate the evidence from all sides. The view of 1000 BC Judah presented in the documentary (that it was an undeveloped region) has little evidence to support it and much evidence against it. Consider, for example, what has been discovered at Khirbet Qeiyafa. Contrary to what Finkelstein and Silberman assure us is the “scholarly consensus,” the evidences from this site “clearly indicate a well planned fortified city in Judah as early as the late 11th-early 10th centuries BC.” The documentary tries to argue against a central monarchy in 1000 BC, but once again, archaeology clearly shows that to be incorrect. For example, the massive Solomonic gate at Gezer demonstrates a strong central monarchy during that period. No, I do not have to believe in young-earth creationism. I didn’t believe it at one time, but the evidence convinced me of it. In addition, I sold my publishing company back in 2008 and get no royalties from the books. Thus, my income is secure regardless of what I do now – if I stopped being a YEC, it would not affect my current income at all. I am a YEC because I am willing to follow the evidence. If you would like to learn what the evidence says, you will read On the Reliability of the Old Testament by Dr. Kenneth Kitchen. Unlike The Bible Unearthed, it seriously discusses the evidence and isn’t full of glaring errors. You missed a post of mine. I’ve got two error in the first page. More will come. So The Bible Unearthed is biased because one believer in a seminary says so! That’s hysterical. Those bolded quotes more aptly describes the ICR, AiG and other YEC ministries you link too. As for unbiased and academic reviewers, several are linked at the Wikipedia entry and I found several more here, here, here, and here. But don’t take their word for it, read the first chapter here. So you don’t get paid to travel the world and spread the gospel of homeschooling? Mia, none of your posts even attempt to demonstrate an error in Rooker’s article. One of them presents two falsehoods, as I have already pointed out. None of them attempt to point out any errors. A careful reading of the book of Genesis, for example, revealed two conflicting versions of the creation (1:1-2:3 and 2:4-25), two quite different genealogies of Adam’s offspring (4:17-26 and 5:1-28), and two spliced and rearranged flood stories (6:5-9:17). However, none of those contentions are true. There are not two conflicting versions of the creation account. There are not two quite different genealogies of Adam’s offspring. Genesis 4:17-26 concentrates on Cain’s offspring. At the end, it then mentions a new son, Seth. Genesis 5:1-28 then continues the lineage with Seth’s offspring. The only difference between the two genealogies is which of Adam’s son each concentrates on. There is no discrepancy between them. In addition, as Rooker’s article makes clear, there are not two spliced and rearranged Flood accounts. As was the case with the author’s view of Judea in 1000 BC and the lack of a central monarchy, the book tries to pass off the authors’ conjectures as accepted fact, when those conjectures are disputed by serious evidence. So yes, the book is incredibly biased. 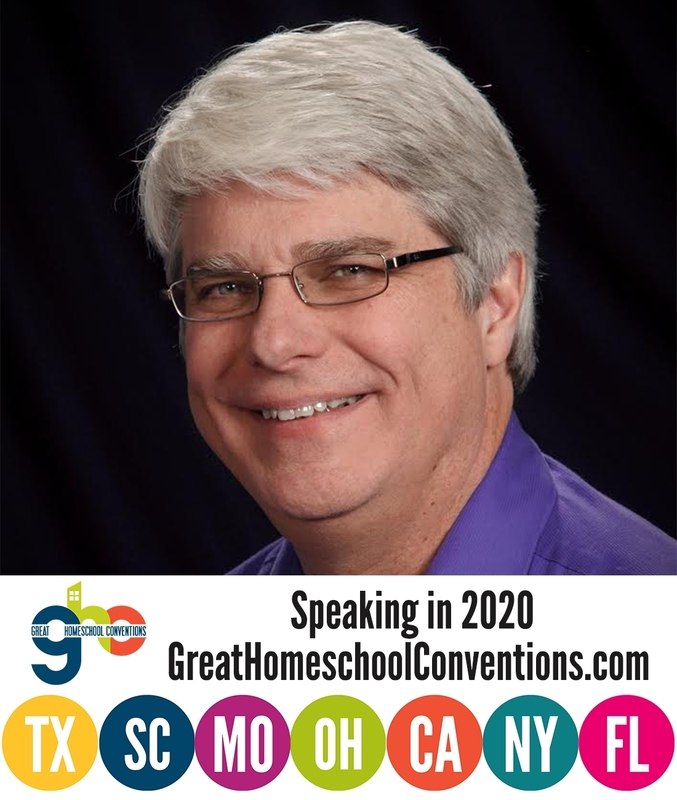 I do travel the world and talk about homeschooling. It doesn’t pay much, but it pays a little. However, I don’t have to be a young-earth creationist to do that. Indeed, one of the most sought-after homeschool speakers is Dr. Susan Wise Bauer, and she is an old-earther. Once again, then, if I changed my view on creation tomorrow, it would not affect my current income at all. The reason I became a young-earth creationist and the reason I have remained a young-earth creationist is because the evidence strongly supports the view, as I have shown you again and again. Pp. 59-60 assert that Egypt makes no mention of the exodus and that no entity known as Israel existed in any specific place. Only migrant workers were known who came from multiple places of origin. However, it is not possible to determine, in a city as large as Tell ed-Daba, that there was no homogeneous W. Semitic element. So many of the finds demonstrate W. Semitic cultural influence. Interestingly, this city was rebuilt and inhabited by W. Semitic peoples at exactly the time of the oppression, in the generation or two before the Exodus. Egypt did not record major defeats and that is exactly how the exodus is portrayed in the Bible. Nor do we have a complete set of records from the Egyptian borders. Finally, it was a “mixed multitude” that left Egypt; not a single self-conscious entity. After all, the Bible records that it was the covenant at Sinai, after the exodus, that established this group as a distinct national entity. So Dr. Hess is not saying (as you falsely suggest), “it’s true because the Torah says so.” Instead, he is responding to a false statement made in The Bible Unearthed. There is no mention of the Exodus by Egypt because Egypt didn’t record major defeats. In addition, since the Exodus is described as a “mixed multitude” that left Egypt, you would not expect to find a homogeneous West Semitic element. Thus, rather than contradicting what the Bible says about the Exodus, the fact that there isn’t a homogeneous West Semitic element at that time is consistent with what the Bible says. And no, it is not clear that “contemporary eyewitness accounts are less reliable than forensic evidence.” It all depends on the nature of the forensic evidence. In this case, there isn’t forensic evidence against the fact that pastoral groups and individuals moved back and forth between Egypt and the Sinai at that time. There just isn’t any forensic evidence at all. However, there is eyewitness evidence that it happened. Since there is no forensic evidence against these eyewitness accounts, the accounts have a lot of merit. Once again, this is a clear indication of the bias that exists in The Bible Unearthed. The authors fail to mention the eyewitness evidence (even in the absence of archaeological evidence), simply because it argues against their thesis. Archaeology has always played a crucial role in the debates about the composition and historical reliability of the Bible. At first, archaeology seemed to refute the more radical critics’ contention that the Bible was a rather late composition, and that much of it is unreliable historically. From the end of the nineteenth century, as the modern exploration of the lands of the Bible got underway, a series of spectacular discoveries and decades of steady archaeological excavation and interpretation suggested to many that the Bible’s accounts were basically trustworthy in regard to the main outlines of the story of ancient Israel. Thus it seemed that even if the biblical text was set down in writing long after the events it describes, it must have been based on a substantial body of accurately preserved memories. This conclusion was based on several new classes of archaeological and historical evidence. So yes, there is an enormous amount of archaeological evidence for the Biblical account. Even those who are desperate to minimize the relevance of the Biblical account admit to that. Those who are honestly looking at the evidence, of course, find that the archaeological evidence demonstrates the Biblical account to be incredibly accurate (see here, here, here, and here, for example). In the mid-twentieth century processualists such as Binford argued against the reliance on texts in archaeology, but more recently post-processualists have returned to them as a source of analogies for understanding past human behavior. Many kinds of ‘texts’ have been employed in archaeological research: literary texts, such as those of historians, geographers, poets, and dramatists; documents, such as inscriptions, law codes, probate inventories, diaries, etc. ; oral traditions; and images, such as mosaics, paintings, sculptures, and maps. And the point is not to pit the archaeological evidence against anything. The point is to use the archaeological evidence to help illuminate the past. The authors of The Bible Unearthed don’t do that. They force their own interpretations on the archaeology in an attempt to push their views, and they leave out all contrary evidence, as I have shown. That’s what makes the book so utterly biased. You claim there is no good reason to approach the Torah as being contemporary with the events described. Once again, that is utterly false. As I showed earlier, there is a wealth of evidence to show that the Old Testament was written during the time most of the events described took place. You have yet to argue against any of that evidence. Even Time magazine admits that at least some of the Old Testament was written soon after some of the events it describes. The earliest Sumerian poems are now generally considered to be distinct stories rather than parts of a single epic. They date from as early as the Third Dynasty of Ur (2150-2000 BC). The earliest Akkadian versions are dated to the early second millennium, most probably in the eighteenth or seventeenth century BC, when one or more authors drew upon existing literary material to create a single epic. The “standard” Akkadian version, consisting of twelve tablets, was edited by Sin-liqe-unninni sometime between 1300 and 1000 BC, and was found in the library of Ashurbanipal in Nineveh. So the Epic of Gilgamesh was not written as early at 2000 BC. There were some individual stories that were later incorporated into the Epic of Gilgamesh written at that time, but as the article says, the standard Epic of Gilgamesh was written sometime between 1300 and 1000 BC, which was roughly the same time period the evidence indicates the Pentateuch was written. Once again, Mia, I strongly urge you to actually investigate the evidence. It seems you are unable to do that. Instead, you simply try to dismiss any source that doesn’t already agree with your position, to the point of stating falsehoods about those sources in an attempt to make them look bad. If you would actually look at the evidence and evaluate it, these discussions would be significantly more illuminating. Hess is more apology, there is no lack of ’em, is there! “Egypt did not record major defeats and that is exactly how the exodus is portrayed in the Bible. Nor do we have a complete set of records from the Egyptian borders. Finally, it was a ‘mixed multitude’ that left Egypt; not a single self-conscious entity. After all, the Bible records that it was the covenant at Sinai, after the exodus, that established this group as a distinct national entity.” So it’s true because the Torah says so. Not a convincing argument. “There are many more textual examples of pastoral groups and individuals moving back and forth between Egypt and the Sinai at this time. Although they may not be known to archaeologists insofar as they left no remains in the Sinai, they clearly are known to contemporary Egyptian border guards. As in other instances, the authors of this book trust the archaeological evidence far more than they do written sources, even eyewitness accounts.” Yes, well that’s because even contemporary eyewitness accounts are less reliable than forensic evidence. Every defense lawyer knows that. Now add ancient texts that claim to report eyewitness accounts perhaps hundreds of years after the fact. We can’t tell about this latter point, because Hess doesn’t tell us what source he is talking about. “the authors attempt to pit the archaeological evidence against the biblical account.” Yes, that is the point! There is no archaeological evidence for the biblical account. “These all reflect particular interpretations of the archaeological evidence, minimally informed by contemporary textual evidence.” Yes! That’s what archaeologists do. “Could it be that the work of archaeology is fragmentary and not a compelling argument that can overturn all textual evidence?” Could it be that the textual evidence is even more unreliable than fragmentary archaeological evidence? It gets better from there but the overall bias Hess has is that the textual evidence is contemporary with the events they describe and accurate. There is no good reason to approach the question of the historicity of the Torah with this assumption unless it is based on belief in the literal word of G-d. It should also be said that the 7th Century BC tablet of the Epic of Gilgamesh is just the most complete extant text of the flood story we have. The Gilgamesh story has textual evidence going back into the 2nd millennium BC, some as early at 2000 BC, well before even apologists claim there is textual evidence for Noah’s flood. Two posts of mine didn’t show up. I’ll get back to the rest later. But Mia, I have no forensic evidence for the two posts you say you made. Since by your own criterion, eyewitness testimony is so unreliable, I can’t believe you actually made those posts. Ha ha. You don’t have the forensic evidence, but it exists just the same. And you could easily be lying, so no, your eyewitness testimony is unreliable. But that’s exactly my point, Mia. We don’t have the forensic evidence, even though it exists if your version of the events is accurate. Since we don’t have that evidence, however, we could rely on eyewitness testimony, as long as it is consistent. In this case, it’s not consistent. You and I disagree on what happened. Thus, forensic evidence could help determine who is right. However, in the case of pastoral groups and individuals moving back and forth between Egypt and the Sinai at the time in question, the eyewitness accounts agree. Thus, while forensic evidence would help make the case even clearer, it is not really necessary. For the record, of course, I believe you. I was just using that example to illustrate my point. This sentence alone shows that Rooker is a theologian without basic knowledge of contemporary historical Bible studies. The Comparative Religion School was an actual school that had a group of practitioners over a century ago. Now, it is only used by fundamentalist apologists to denigrate people who have the audacity to say Christianity is a human institution and had a development that resembles other human created religions, namely, all of them. Today, only a minority of believing apologists would deny that comparing early Christianity to other contemporary religions is a useful and necessary method. I won’t rehash the debate about Genesis-or-Gilgamesh priority. I’ll just state that there are few Old Testament scholars who argue that Genesis came first. Mia, contrary to your statement, Rooker’s reference to the Comparative Religion School does not indicate he “is a theologian without basic knowledge of contemporary historical Bible studies.” Instead, it indicates he knows what he is talking about. In 1901, Hermann Gunkel wrote two books entitled Commentary on Genesis and The Legends of Genesis. He specifically made the claim that the Biblical Flood legend was dependent on Mesopotamian prototypes. Guess what school Gungkel was a part of? The Comparative Religion School. Thus, Rooker is demonstrating that unlike many people, he actually knows the history of how such nonsense got started. I would really appreciate it if you would focus on arguments rather than simply trying to insult those with views that are different from yours. Even if your statement was correct, it would do nothing to indicate that there is anything wrong with Rooker’s arguments. If you want to convince someone of your views, focus on arguments, not ad hominem attacks. Because the Flood episode in Gen. 6-8 matches the older Bablylonian myth so well in plot and, particularly, in details, few doubt that Noah’s story is descended from a Mesopotamian account. Each account has distinctive elements and the differences are often more significant than the similarities. The contrast between the ethical monotheism of the biblical account and the pagan polytheistic outlook of the Mesopotamian versions is particularly distinctive. The gods of the Babylonian accounts are often vindictive, capricious, and deceive both humans and each other. Even the writers of these accounts display little reverence for these gods. Consistent with the lack of ethics among the pagan gods is the lack of moral and ethical explanations for the purpose of the deluge. There are no ethical or moral reasons provided for the selection of the lone individual surviving the flood. Moreover, the gods are ultimately subservient to nature as they are somewhat startled by the conditions that resulted from the deluge. They are appalled at conditions over which they have no control. So the details are often quite different, which speaks strongly against the Biblical account being dependent on the Mesopotamian account. This adds more evidence to the idea that the Mesopotamian account is simply a garbled version of the historical account given in the Bible. You even quote from this part of Rooker’s article, so you know it exists. Thus, you should know that the argument from the link you provided is incorrect. Thus, the wickedness permeated the earth – it wasn’t just the wickedness of the Israelites. It doesn’t matter that many of the people who died in the Flood were not descendants of Abraham. The Bible tells us that God has written His laws on the hearts of all people. (Romans 2:14-15) As a result, everyone knows what is right, regardless of whether or not they have been taught it. Well, I will include one link to rebut the one link Rooker has from 1972: “A direct dependence of the biblical tradition on the Babylonian is no longer assumed.” No, and it shouldn’t be assumed. There is loads of evidence to show that the Babylonian myth was recorded long before the Biblical story was even postulated to have taken place. Rooker says that in Gilgamesh: “There are no ethical or moral reasons provided for the selection of the lone individual surviving the flood.” The story of Noah’s flood is not a good source for moral or ethical teaching. No matter how righteous Noah was, the flood is said to have killed every living thing on earth besides those on the ark. Do you agree that it was moral or ethical for Yahveh to kill all those personally innocent babies, children, men and women? If it was worldwide, then most of those people would not even be Yahveh’s chosen people – descendants of Abraham. They never made covenant with Yahveh, most would have never heard of Him. Rooker: “Since the mid-twentieth century, however, [source criticism] has increasingly fallen out of favor even among critical scholars. Rather than indicating another source, repetition has been demonstrated as an effective way of indicating emphasis. 11” Endnote 11 is to Rooker’s own work. Bollix. The Documentary Hypothesis is indeed falling out of favor, but it is being replaced by a more radical understanding: later compilation dates. The scholarly consensus is for redaction of the Torah to have taken place during the Babylonian exile (all the better to use Gilgamesh, btw). Other scholars to check out are Phillip Davies, Thomas Thompson and other biblical minimalists. And I’ve mentioned Russell Gmirkin, the latest date I’ve heard. (it can’t get much later, because extant fragments of the Torah show up in the 2nd century b.c.e. Here’s another post from Neil Godfrey about this exact topic. Since the mid-twentieth century, however, this method has increasingly fallen out of favor even among critical scholars. Rather than indicating another source, repetition has been demonstrated as an effective way of indicating emphasis. So what has fallen out of favor? The assigning of events to two sources called “J” and “P.” What is that? It is the beginnings of the Documentary Hypothesis! Your continual misrepresentation of what Rooker has written hurts your case just as much as your ad hominem attacks. And yes, they are ad hominem. As you freely admit, “I’m saying that he doesn’t understand what he’s talking about and then gave a reason for why I think so.” The definition of an ad hominem attack is, “attacking the character or circumstances of an individual who is advancing a statement or an argument instead of trying to disprove the truth of the statement or the soundness of the argument.” This is what you did. Rather than discussing Rooker’s argument, you simply claimed he didn’t know what he is talking about because you think he hasn’t read any contemporary literature. Of course, you were wrong on that point. Instead, as I noted, he was simply demonstrating that he knows the history of the nonsense that the Biblical Flood account was dependent on Babylonian legends. And yes, the Biblical account of the Flood does have literary cohesion. As I demonstrated previously, it is not composed of two different flood accounts. You may very well be right that most Old Testament historians think it is. However, the appeal to consensus has never been persuasive to me. I need to see evidence, and I see no evidence to indicate that the account is anything but unitary. And yes, 2 Peter is an authority about what happened in Genesis. While it is true that 2 Peter had the hardest time getting into the canon, there is good evidence to indicate that it not pseudonymous. As you can see from the second section of this link, there is also good evidence that it existed in the early second century and perhaps in the late first century. You ask, “The bottom line is that the story of Gilgamesh is dated to centuries before the Torah is said to have happened by the most fundamental literalists imaginable. How do you get around that?” I am not sure what you mean by “happened.” Do you mean “was written down?” If so, I answered that question previously. So in the authors’ minds, even though they think the Biblical accounts of ancient Israel were written long after the events took place, they think the Biblical accounts are historically trustworthy because they drew on “accurately preserved memories.” So the question isn’t, “Which account can be dated to be the oldest?” The question is, “Which account can be considered to be drawn upon the most accurately preserved memories?” Since the Old Testament has demonstrated itself to be a historically trustworthy document (even in the eyes of Biblical minimalists like the authors of The Bible Unearthed), it is reasonable to think that the Old Testament draws upon the most accurately preserved memories. Also, since the Genesis Flood best fits the external evidence of a worldwide Flood, it is once again reasonable to think that the Genesis account is the most accurate one. Well, you can’t assume Noah’s flood has literary cohesion. Most OT historians – not Christian or Jewish theologians – do not think the story is unitary. The rest is exegesis. One reason for believing Noah’s flood to be worldwide bears repeating: Reason 4 from page 60: “Second Peter 3:3-7 describes an overwhelming catastrophic event.” So the last book to make it into the NT, pseudepigrapha most likely written in the second century c.e., is an authority on whether Genesis 6-9 is what really happened. No, Gunkel was a History of Religions school leader. And it wasn’t ad hominem. To say Rooker is an idiot is ad hominem. I’m saying that he doesn’t understand what he’s talking about and then gave a reason for why I think so. The bottom line is that the story of Gilgamesh is dated to centuries before the Torah is said to have happened by the most fundamental literalists imaginable. How do you get around that? “I would appreciate it if you stopped trying to misrepresent what X says.” Now you know how I feel when you interpret current scientific articles! So there is good evidence that 2 Peter was written by Peter the Disciple and good evidence it was written around 100 c.e.? So which one has better evidence, or did Peter the Disciple live to the end of the first century c.e.? No, Mia, I don’t know how you feel when I interpret scientific articles. I don’t misrepresent them. Instead, I accurately discuss what the authors write and the results they present. I often include what I think as well, but I never misrepresent the authors or the science. You have routinely misrepresented what Rooker wrote, as I have demonstrated several times. Please also do not misrepresent what I am saying. I did not say that there was good evidence that 2 Peter was written around 100 AD. I said there is good evidence that it existed around 100 AD. Something could have been written long before the earliest evidence that it existed. However, it could not have been written after the earliest evidence that it existed. This, of course, means that it is unlikely 2 Peter was written after 100 AD, as you contended. Why do you exclusively cite theologians instead of historians? I mean, I’ll take a theologian over AiG any day, but it’s similar to asking a college football coach what’s it like in the NFL. They have an informed opinion, sure. But would you only ask them and not any pro coach? Mia, once again, please don’t misrepresent me. I do not “exclusively cite theologians.” In just the this exchange, I have cited Dr. Paul Maier, Dr. Nancy Wilkie, Dr. Yosef Garfinkel, Stephen Caesar, Dr Jean K. Lightner, and Dr. Todd Wood, none of whom are theologians. In addition, my link to the external evidences for the worldwide Flood includes works by many non-theologians, including Dr. Andrew Snelling, a geologist. Of course, I have also cited Dr. Israel Finkelstein and Dr. Neil Asher Siberman, who are both archaeologists. They are authors you cite as well, so you should have recognized them as non-theologians. And no, asking a theologian about the history of the books of the Bible is not like asking a college football coach about the NFL. Theologians study the history of the books of the Bible, since it affects how they are interpreted. As a result, they are very informed sources when it comes to understanding how the books of the Bible came to be. Once again, if you want people to be convinced of your case, it is best to concentrate on the arguments being presented. Insulting people by making false claims about their area of expertise does nothing to further your argument. If the people I cite are really uninformed, it ought to be easy to refute their arguments. You don’t seem able to do that, however. “We are told that when God saw the pervasive wickedness of man He was grieved in his heart that He had made man (Gen 6:6).” So God made a mistake? Not very omniscience of Him. No, Mia, God did not make a mistake. He gave people Free Will, then they made the mistake of going against what He wrote on their hearts. It grieved God that people would use the gift of Free Will to rebel against Him. I note that rather than trying to address the arguments of the experts I have referenced, you are now bringing up new objections. I find that very telling. Do tell. I don’t have the leisure of responding to you when you want me to. So, you’ll just have to wait for it. But my questions do show how qualitatively different Rooker’s article is compared to Cargill’s. Cargill does use the text – it’s all we’ve got – but he does not use it for a discourse on sin. Cargill is Christian btw. I am happy to wait, Mia. However, if you really want to reply to the arguments of the experts I cite, you should stop bringing up all sorts of new objections that have little merit. That simply delays any substantive response you might have. I agree that Rooker’s article is quite different from Cargill’s. As I pointed out before, while both are heavy on exegesis, there are several glaring errors in Cargill’s article, and so far, you haven’t found any errors in Rooker’s article. Instead, you had to resort to misrepresenting what he said in an attempt to make the article look bad. I know Cargill is a Christian. I never implied otherwise. There is a wide range of views on Scripture in Christendom, as my “links to investigate” clearly demonstrate. Cargill is not in error about the flood narrative being two different stories woven together, with different details about the same simple matters from each story. They are contradictions. Your cheap harmonizations are in error. As for the sources of the water, Cargill was simply assuming that no supernatural events happened to cause the worldwide flood. If you wish to believe that God used supernatural events to cause water to move from the oceans to over the land, or from some unknown sub-terrainian source to bubble up through the earth’s crust, that’s fine. But don’t pretend for a minute you have any evidence for either of those occurrences. AiG’s article is pure speculation. Cargill was most definitely in error regarding the Flood story being contradictory. The two links I gave you (here and here) are not “cheap harmonizations.” They use the text to show quite clearly that there simply is no contradiction. Also, you claimed in your previous comment that “Cargill does use the text.” However, the text itself says, “In the six hundredth year of Noah’s life, in the second month, on the seventeenth day of the month, on the same day all the fountains of the great deep burst open, and the floodgates of the sky were opened.” (Genesis 7:11). So Cargill did not use the text, as the text clearly spells out two sources of water for the Flood, but Cargill only considered one. Once again, then, Cargill’s article is filled with errors, while you could find no errors in Rooker’s article. Instead, you had to misrepresent what Rooker said in an attempt to make his article look bad. And yes, of course there is excellent evidence for the fountains of the great deep. Indeed, even now, there are vast reserves of water stored under eastern Asia. And of course, Christian Answers’ article (not AiG’s article) is not “pure speculation.” Instead, it is based on an incredibly successful computer model of the earth’s tectonic history. Now going back to this comment. Okay, a misunderstanding (or error on my part, if you wish) on source criticism and Documentary Hypothesis (DT). You are right, source criticism is not falling out of favor. All biblical historians agree that the Genesis flood story is made up of different sources woven together. The DT goes further, not just labeling the different sources J, E, D and P, but assigning the dating of those sources to specific periods in the history of ancient Israel. However, those periods have no attestation from any source or method from outside the Hebrew Bible itself. It is circular to use the Bible to date hypothetical sources within the Bible. Luckily for me, another excellent post on this exact topic has been written by Neil Godfrey. I highly recommend you (and anybody crazy enough to be still reading this thread) read it and the posts that will follow discussing “Berossus and Genesis, Manetho and Exodus” by Gmirkin. Sorry to keep doing this, Mia, but I can’t let your false statements go uncorrected. You claim, “All biblical historians agree that the Genesis flood story is made up of different sources woven together.” This is simply untrue. Dr. Paul Maier is a biblical historian, and he thinks the Flood account is unitary. The same can be said for Dr. Noel Weeks, Dr. Thomas Nettles, and many others. You are obviously getting a bit confused, because you posted the link by Godfrey previously. It is interesting, but there is a wealth of evidence (which you have not even tried to challenge) to indicate that the Pentateuch was written long before 270 BC. Thus, the article has little meaning. Once again, then, your own sources support my point and refute yours. Thanks for providing them! So once again, an “error” you claimed to have found in Rooker’s article is not an error at all. Thus, we still have the situation where there are (at least) three glaring errors in Cargill’s article, but you have found none in Rooker’s. No wonder you are so confused, Mia. When your sources are full of errors, you will never understand an issue. And yes, your arguments are mostly an appeal to consensus. This is why you make false claims like, “All biblical historians agree that the Genesis flood story is made up of different sources woven together.” You are also confused on who has read from the other side. You claim, “You admit that you haven’t read the other side.” Of course, that is 100% false. I have never even remotely indicated that I haven’t read the other side. Quite the opposite. I have shown that I am very familiar with the arguments of the other side. When you brought up The Bible Unearthed, for example, you assumed I had never heard its arguments. However, I told you I have watched the documentary on which it was based and refuted two of the arguments in that documentary. Also, when you claimed “There is no archaeological evidence for the biblical account,” I quoted directly from The Bible Unearthed to refute that false statement. In addition, I had read the Godfrey post you just offered well enough to notice that this is the second time you have posted it. Your comment indicates you thought it was the first time you posted it. Thus, I am the one who has read the other side. You, on the other hand, steadfastly ignore the other side. You won’t even attempt to address the wealth of evidence I have given you. So far, the only thing you have done is misrepresent Rooker in an attempt to make his article look bad. Fortunately, I have not allowed such misrepresentations to stand. Of course, you can’t seem to stop misrepresenting me, either. I never said that the author of 2 Peter knows that the Genesis text is an accurate historical account of what happened. He never indicates that one way or another. What I said was that 2 Peter is an authority on what happened in Genesis. That is most certainly true, because as the Kruger article I linked shows, it is authentic. As a result, it belongs in the Bible and can be used to understand other parts of the Bible. So when 2 Peter says that the world was destroyed by being flooded with water, it helps to emphasize that the Genesis Flood was global. Yes, I googled “comparative religion school” too. Not much there, is there? Unfortunately for you, Gauvreau made a mistake. Gunkel, Weiss, Bousset and Troeltsch were members of the history of religions school. The Catholic Encyclopedia entry on the google search shows that it mistranslated “Religionsgeschichtliche”. “Geschichtliche” means historical in German, not comparative. Your scholar Gauvreau made the same mistake. Here’s an evangelical site that shows the two schools are different. It’s not an appeal to consensus, it’s an invitation to read the evidence! You admit that you haven’t read the other side. So, you are appealing to ignorance. I really can’t help but emphasize again that you think the author of 2 Peter, regardless of who it is and what the provenance of the document is, knows that the text of Genesis 6-9 is an accurate historical description of what happened. What is your evidence for believing this to be the case? To copy your tactics, I never said TBE was “very authoritative”. In fact, my quote was “Try reading The Bible Unearthed. Or watch the accompanying video clips”. I later provided 4 positive reviews of it. I never claimed anything for it. I would appreciate it if you would stop fabricating my words. You: “Since the Old Testament has demonstrated itself to be a historically trustworthy document (even in the eyes of Biblical minimalists like the authors of The Bible Unearthed)”. TBE does not argue the Torah “must have been based on a substantial body of accurately preserved memories.” Rather, it says the entire Torah was written no sooner than the seventh century BCE and that it contains “legends, characters and story fragments” from earlier times. It is not an historically trustworthy document of Moses, much less of the Patriarchs and very much less of Noah. As for other OT minimalists, Davies, Thompson, Niels Peter Lemche, et al., they provide ample evidence that the Torah is not an accurate historical account. Mia, you are welcome to try to show that I am stating falsehoods. However, so far this thread shows that you are the one who is making false statement after false statement. You are correct on one thing, however. I did, indeed, mischaracterize your statement about TBU (not TBE), and I am sorry. You did not claim that TBU (not TBE) was very authoritative. You simply suggested that I should read it or watch the videos. Of course, contrary to your expectation, I already had watched the videos, and I demonstrated how two of the key claims made therein are demonstrably false. Note that this is the entire section labeled “History, or Not History?” So the section asks if the Old Testament is history or not history, and the authors answer the question, stating that it is basically trustworthy in regards to the main outlines of the story of ancient Israel. There is nothing that even implies the authors don’t agree with their own statement. I suspect you are confused because you don’t read many scientific works. The phrase “it seemed” or “it seems” is very common among scientists. It is simply a way of saying that we could be misinterpreting the evidence, but this is the conclusion we reach based on our interpretation of the evidence. Your quote from TBU (not TBE) says nothing about the historical accuracy of the Old Testament. It simply says that while the authors think the book was written later (as I have already demonstrated, there is a wealth of evidence to indicate it was written during the time of Moses), it draws on characters, stories, and legends that are older. So, if you were to actually read the book (or watch the documentary as I have), you would know that the authors think the Old Testament has an accurate account of the basic history of ancient Israel. According to them, there are embellishments, uses of ancient legends, etc., but as to the “main outlines of the story of ancient Israel,” it is reliable. They know this because of the “spectacular discoveries” of archaeology. You claim, “As for other OT minimalists, Davies, Thompson, Niels Peter Lemche, et al., they provide ample evidence that the Torah is not an accurate historical account.” Of course, you provide no such evidence. Once again, Mia, your appeals to consensus do not advance your case. If you want rational people to take your case seriously, you must support it with evidence and refute the evidence from the other side. So far, you have done neither. Instead, you have tried to misrepresent me and Rooker because you can’t effectively argue against us. When you do try to present some evidence, your sources sometimes end up refuting your statements and supporting mine. Once again, I suggest that you actually read your sources before you post them.